This is a white badge reel that will allow you to extend the reach of your photo ID cards as necessary. A clear vinyl strap creates a subtle look, while the swivel spring clip is versatile and offers a firm and secure hold. 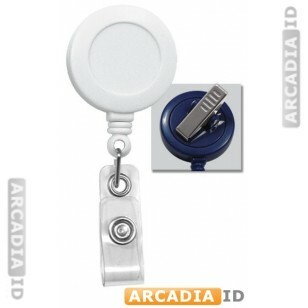 For the full range of great ID card products for low prices be sure to browse the site. Rapid delivery on all products.